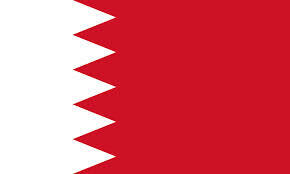 March 21, 2013 Manama (BNA) — Foreign Affairs Minister Shaikh Khalid bin Ahmed bin Mohammed Al Khalifa has stressed that Bahrain backs brotherly Saudi Arabia and the United Arab Emirates in confronting the plans of the ‘Muslim Brotherhood’. Shaikh Khalid said that Bahrain is facing the ‘Muslim Brotherhood’ group and its ‘clear terrorist threat’ to the stability of Egypt, Saudi Arabia and the UAE and considers such plans as a threat to its security, as well. ‘That’s what I said and meant during the press conference in Islamabad yesterday, which is clear and does not lend itself to interpretations,’ he explained, adding that he is responsible for the statements he has made, and not for the misinterpretations of media outlets. He stressed that the Muslim Brotherhood Movement is an international one that has its own approach and exists in many countries across the world, noting that each country deals with it according to its law and the agreements it is committed to.